Because of the dolines, light has entered through the cave’s roof. 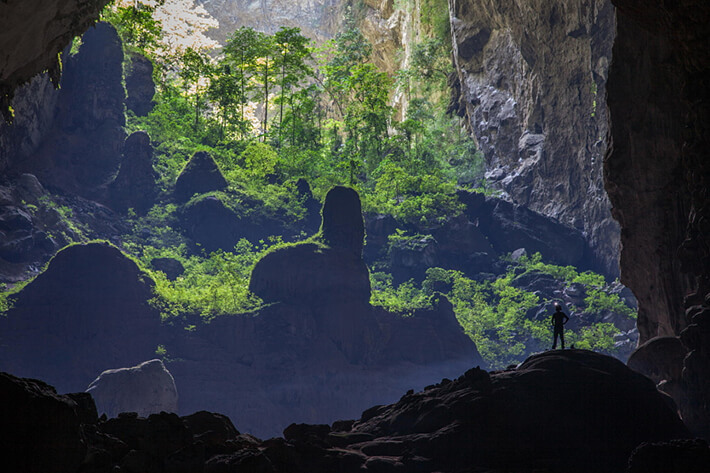 Over time, it has created some of the largest forests in the country of Vietnam. The forest is home to nearly 1,000 vertebrate species including mammals, reptiles, amphibians, birds, and fish. The cave has its own ecosystem. It even has its own climate. Everything from temperature, humidity, and air quality. It’s as if the outdoors has made its way indoors.